Enterprise sized organizations looking to understand customer behavior and use this to improve the customer experience. Clicktale is a website conversion platform which combines session recording and other features which measure how customers interact with websites, with data science and psychological analytics. They promise to measure how people use the site, and crucially show customer intent using behavioral data and visualizations. Their platform is based around a mix of cognitive computing, machine learning and psychological research. Clicktale is a good option for larger companies to learn more about their customer experience through behavior monitoring and analytics. Their use of detailed data analytics to identify customer mindsets is a unique approach which allows you to A/B test design ideas to help increase conversions among different customer segments. Clicktale offers strong reporting and analytics, meaning it’s good option for analyzing large amounts of data to show trends. This makes it a good option to help identify problems in a site with a large number of users. To make this easier, there is functionality to view only certain events, so you can obtain data on the individual aspects of the customer journey you are interested in fine-tuning. 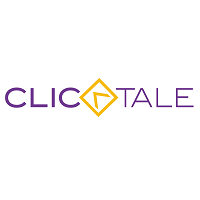 Clicktale is a good option to consider for larger companies who have large amounts of data to analyse and can take advantage of the advanced features that they offer.